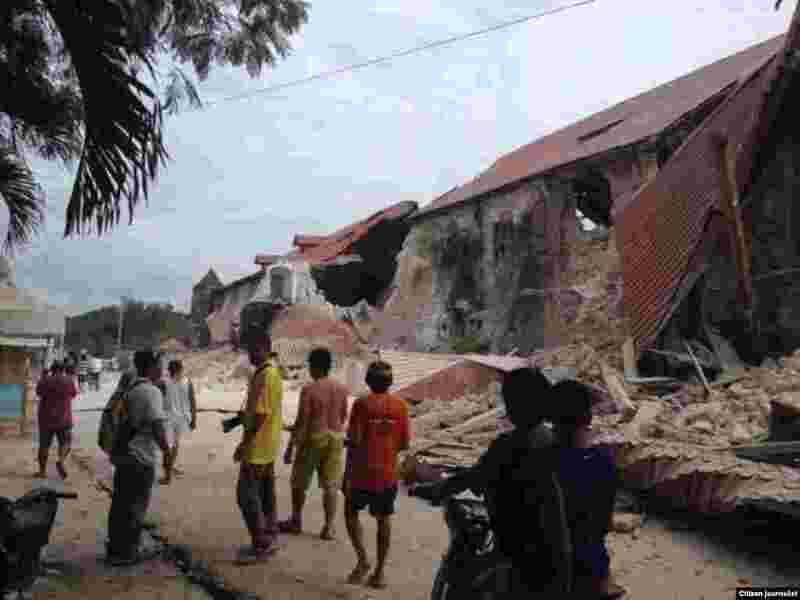 A strong earthquake hit a popular tourist area in the central Philippines, killing at least 20 and destroying several historic buildings. 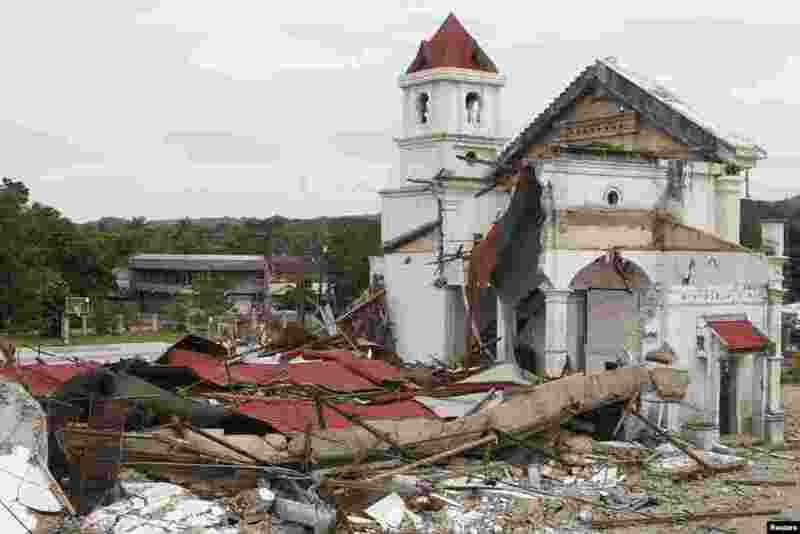 1 A view of the destroyed St. Michael Parish church in Clarin, Bohol a day after an earthquake hit, central Philippines, Oct. 16, 2013. 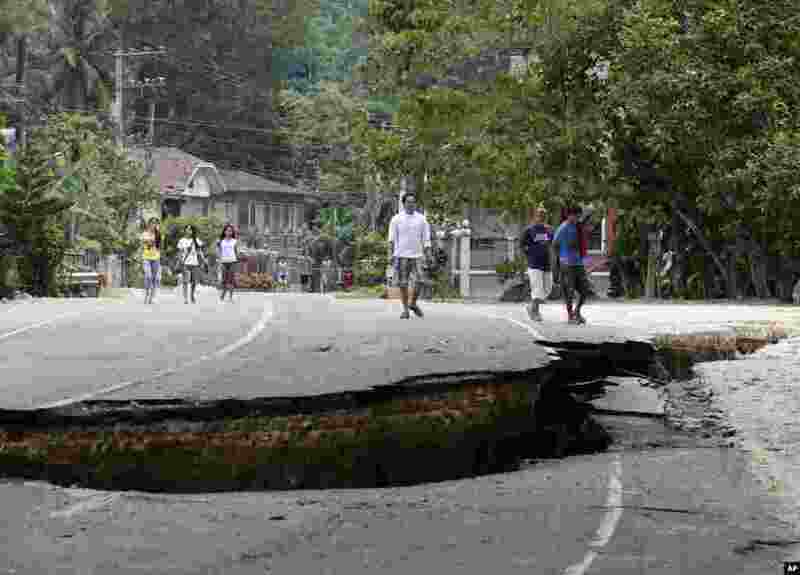 2 Residents walk on a damaged highway at Loboc township, Bohol province in central Philippines, Oct. 16, 2013. 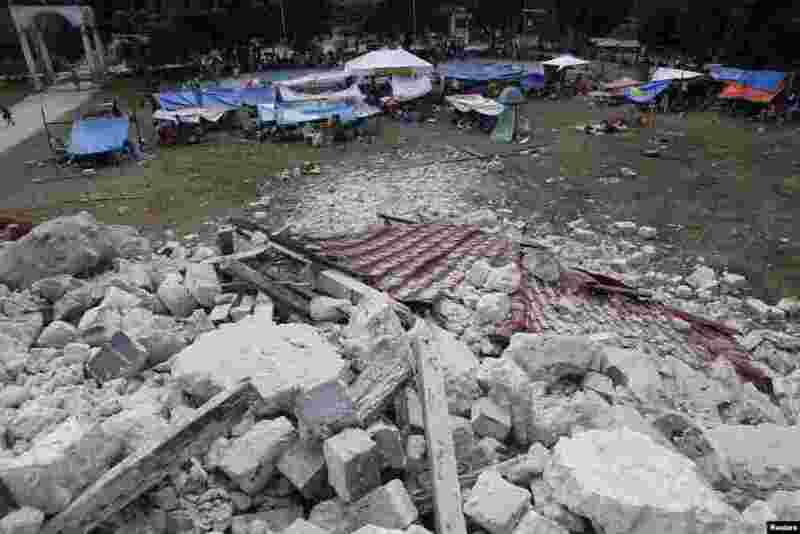 3 Residents stay in makeshift shelters near the rubble of the centuries-old Our Lady of Light church in Loon, Bohol, a day after an earthquake, Philippines, Oct. 16, 2013. 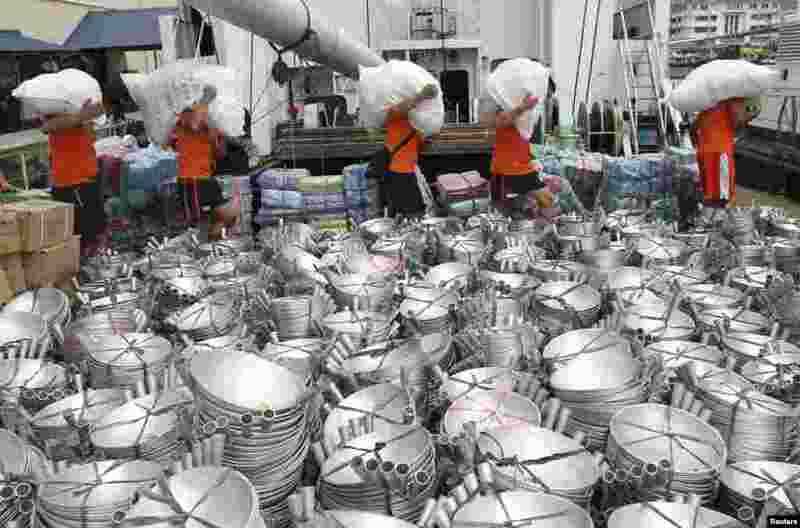 4 Members of the Philippine Coast Guard carry sacks filled with relief goods to load on-board the BRP Corregidor at a port in Manila, Oct. 16, 2013. 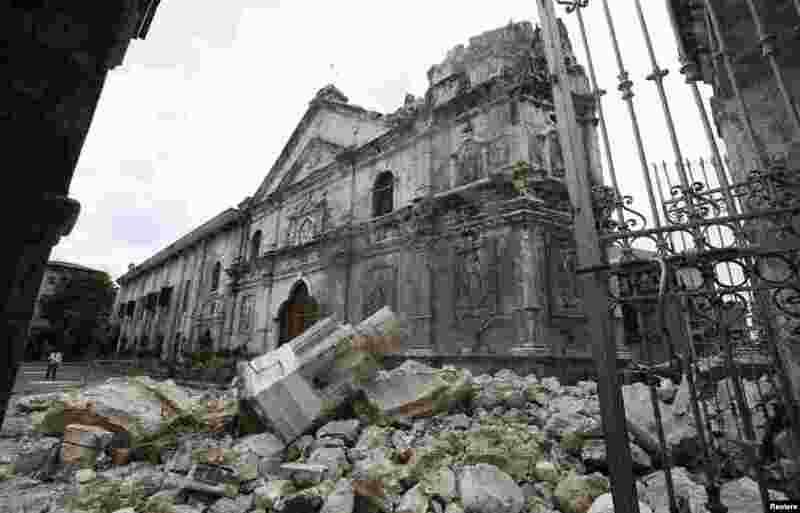 5 A view of the damaged Basilica Minore of Sto Nino de Cebu church after an earthquake struck Cebu city, in central Philippines, Oct. 15, 2013. 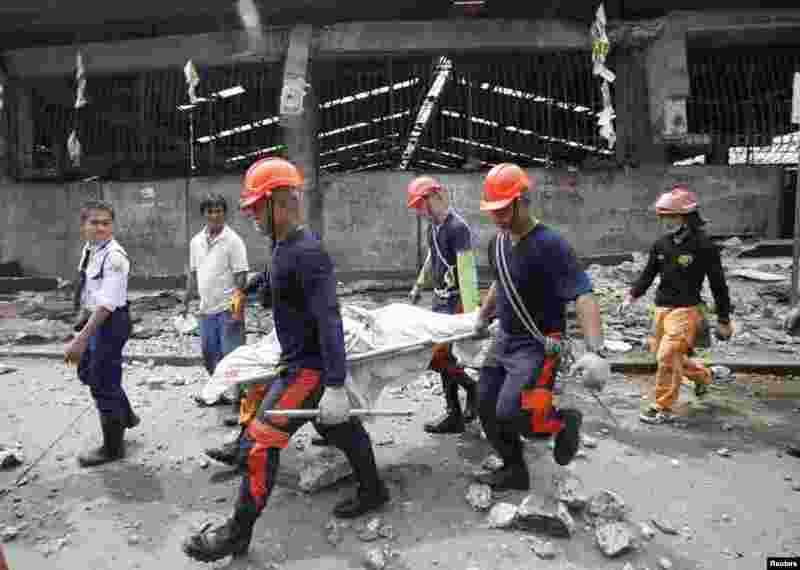 6 Rescue members recover the body of a vendor killed after an earthquake hit Pasil market in Cebu, central Philippines, Oct. 15, 2013. 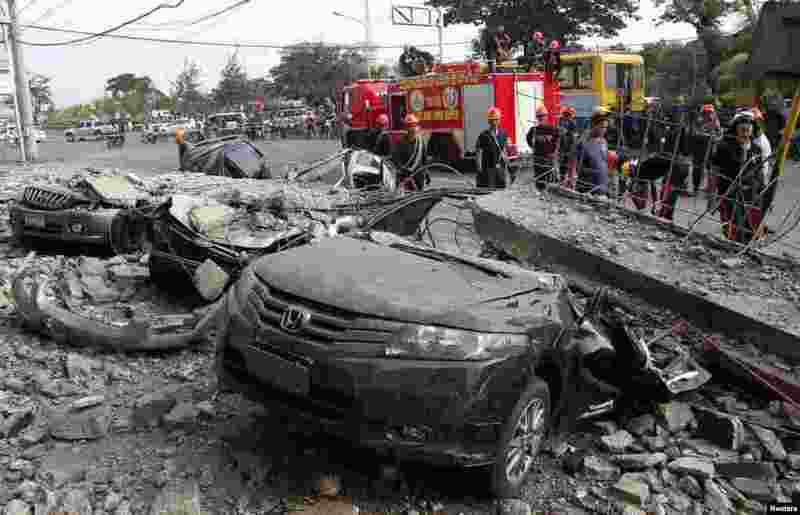 7 Firefighters stand near damaged vehicles after an earthquake struck Cebu city, in central Philippines, Oct. 15, 2013. 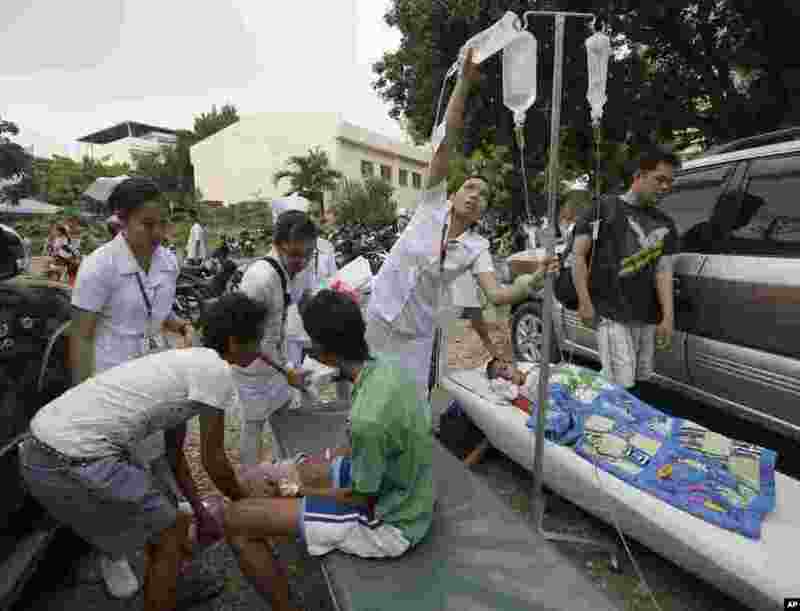 8 Earthquake victims gather at the parking lot of a government hospital following a quake that hit Cebu city in central Philippines, Oct. 15, 2013. 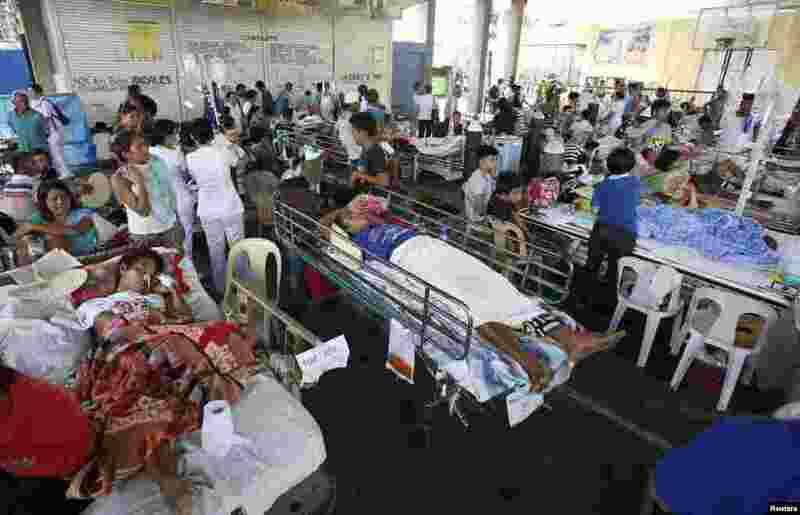 9 Hospital patients rest after they were evacuated after an earthquake struck Cebu city, in central Philippines, Oct. 15, 2013.